Saw this morning that a dear friend has signed up to follow this blog. She is already signed up but perhaps because I haven’t written in some time she thought she wasn’t. And yes. It has been some time since I’ve written. Well, written a blog post. I have been writing. And the book is now printed and delivered. Copies here to the cottage in Ireland and more arriving next week to my other home in Washington State where my dear husband is ready to take delivery. When I return from Ireland mid-October I will be creating a link on this site for purchasing the books. This book, the creative spirit of this book, took hold of me last fall. It’s been an amazing relationship and dance. One that continued through the dying and death of my beloved Anam Cara. Annalu was so excited about this book. 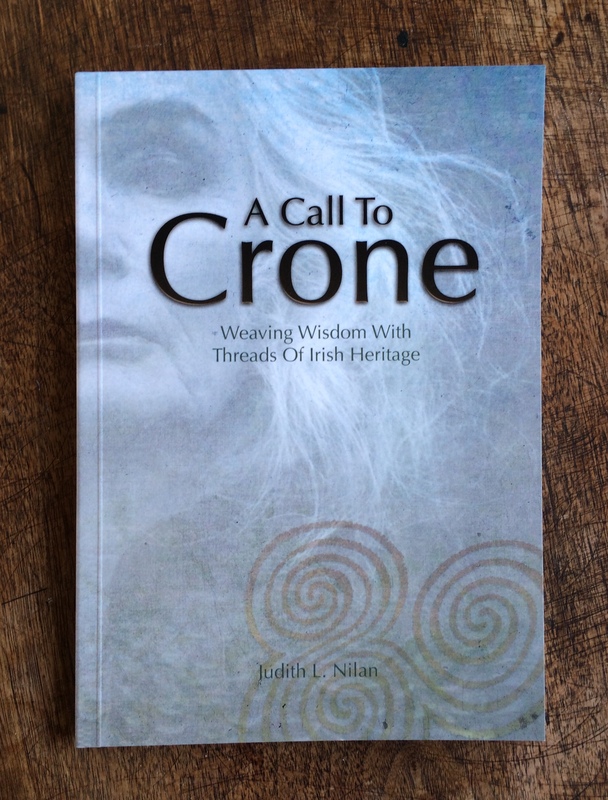 She was to be my editor and we dreamed of creating Crone tours and workshops together. There is a huge hole in my life and sadness that we will not be doing this work together. At least in this realm. Yes, she is very much with me all the time. But what I would give to sit with her once again. The work does go on. Just completed a Gathering of women in Sligo and the experience was beyond what I anticipated. A truly magic filled time. Stunning and transforming. And now I feel the call to turn again to writing blog posts. I appreciate all of you who have signed up to follow this blog in the last few months…and your patience with this journey. And Ann, thanks for the nudge this morning when you again signed up to follow these musings.